I was just about to go to bed when my mobile started dinging at me to let me know of a new message in my inbox. As soon as I saw Earok's name popping up, telling me of a new Amiga CD32 release, I was just too excited to ignore it and thus turned my computer on to share this glorious news. 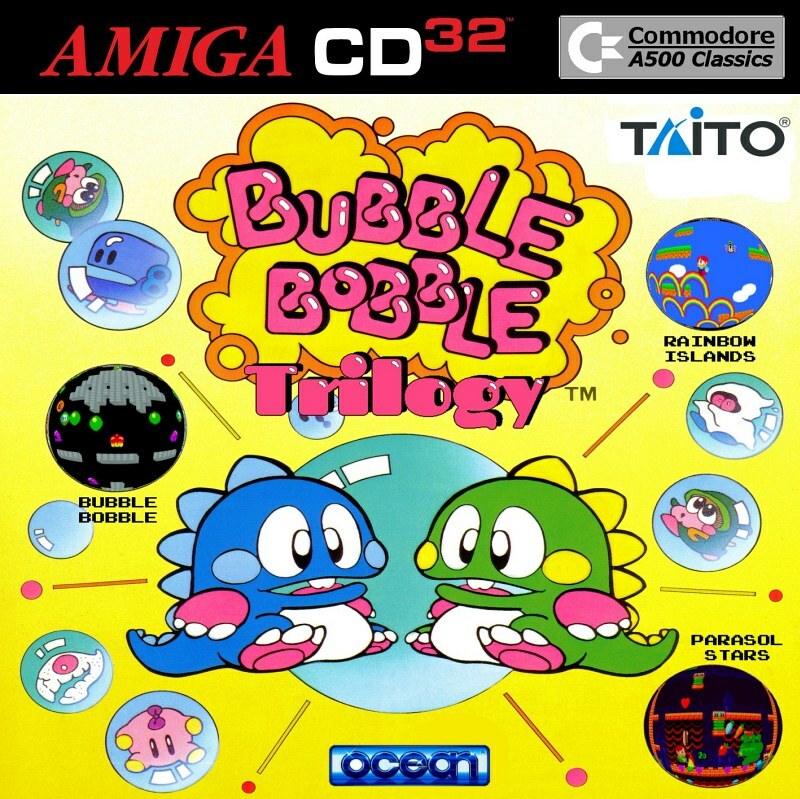 It's the ' Amiga CD32 Bubble Bobble Trilogy ' by AmigaJay, a brand new Amiga CD32 conversion by the same person who also does those fantastic CD sized CD32 covers! 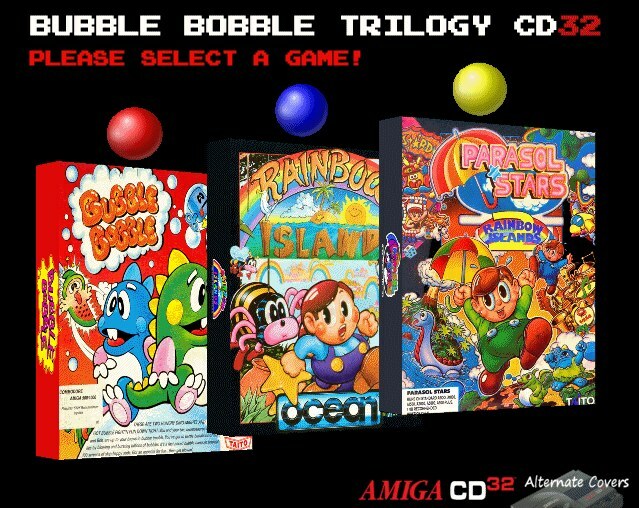 Three of the greatest Arcade games are in this pack, from Bubble Bobble, to the sequels Rainbow Islands and Rainbow Islands 2 - Parasol Stars. Games that are full of charm and had so much replayability, that even us adults look at these boxes and it takes us back to a grand age of gaming. From blowing bubbles as dragons at enemies while listening to that dodododod soundtrack, to climbing rainbows ever higher to reach the top in Rainbow Islands. This is a great release and what's more if you have two controllers, you can play with a friend in Bubble Bobble and Parasol Stars! I could go on and on about this Trilogy Special and its gaming history but as it's really late and I don't want to spoil the fun, I'd highly recommend you to download and play it yourself, as soon as possible! UPDATE : Version 1.1 (no longer fails if you press wrong button on menu, Rainbow Islands has enhanced CD32 controls.